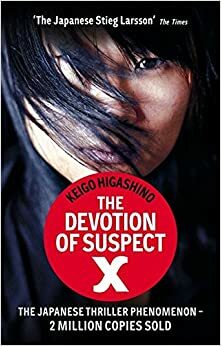 While 'The Devotion Of Suspect X' is a brilliant murder mystery, you cannot ignore the brilliant character of Tetsuya Ishigami who later turns out to be the suspect X. There is something about this character that makes the user sit up and notice and then ask questions. A brilliantly written character, suspect X is much ahead of the police and the detectives in every way. He plans the cover up of the murder with precision, putting his life in danger without the blink of an eye. He's not the murderer, well, he didn't kill the victim at least. Those who have read the book will know that Yasuko Hanaoka, his neighbor is the actual killer and the victim happens to be her ex-husband. Ishigami somehow makes sense of the murder and helps her cover it up. Ishigami has been in love with Yasuko since forever, even though he hasn't spoken more than a word to her. He helps her dispose of the body and then plans a back story step by step. No matter how deep it gets, Ishigami has a plan in place to save Yasuko. Whether he can save himself or not, it doesn't matter to him. All he wants is for Yasuko and her daughter to be safe. His devotion towards her forms the highlight of the story and he doesn't break until the end. She on the other hand questions his devotion towards her, yet doesn't say a thing in order to be safe. Throughout the book Ishigami's devotion stands out and not once does he confess his love for her. Not even when she starts dating another man. He still supports her throughout the police interrogation and actually urges her to get married to the guy she's been seeing and be happy. Nothing else matters to him than to see her happy. He even takes the blame of the murder on himself, just to let her live her life. Without expecting anything in return. Is this love? Is this passion? Is this insanity? No, this is devotion in its purest form and no wonder the book is called 'The Devotion Of Suspect X'. Because when it comes to love and devotion, no one can hold a candle to Suspect X.
Ah! My Favorite! This is an unputdownable thriller/murder mystery!! Usually in a thriller, the story starts with the various clues and as the story progresses, the reader tries to zero on the murderer. In this book, we get to know who the murderer is, in the first 2 chapters and still we kept turning the pages one after the other... this book is simply brilliantly executed. True... this was such a brilliantly scripted, crafted storyline... you wanted more. Finally you were able to push this post :) very interesting character and you were right that sometimes, a character needs another post and not just part if a book review. I haven't read this book yet... but is on my list. You review is now making me even more curious to read this one. I do enjoy a good thriller/mystery for a light read. Must remember this for future reference although I must confess, I haven't heard of the book or author.